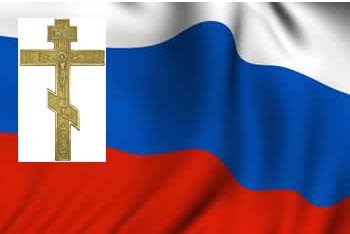 The Ukrainian Orthodox Church of the USA and Diaspora is a jurisdiction of the Ecumenical Patriarchate in the United States. In 1923 a petition was sent to the newly formed Ukrainian Autocephalous Orthodox Church (UAOC), a jurisdiction formed in the aftermath of Ukrainian independence in 1918, but which has never enjoyed canonical recognition in mainstream Orthodoxy. On April 9, 1929, a meeting of 15 clergy and 24 laity was held in Allentown, Pennsylvania, at St. Mary's Ukrainian Catholic Church, in which those attending agreed to form a diocese of Ukrainian Orthodox Christians, though unlike those who had affiliated themselves with the UAOC, they wished to be part of a recognized canonical authority. - Western Eparchy (Arizona, California, Illinois, Indiana, Michigan, Minnesota, Nebraska, Oregon, Washington, Wisconsin), headed by Bishop Daniel of Pamphilion (Chicago, Illinois). In total, there are about 105 parishes, two monasteries, and one seminary (St. Sophia Ukrainian Orthodox Theological Seminary in South Bound Brook, New Jersey). Besides the three hierarchs, the clergy consists of 106 priests and 15 deacons. Current primate is His Beatitude, Metropolitan Constantine (Bahan) of Irinoupolis.